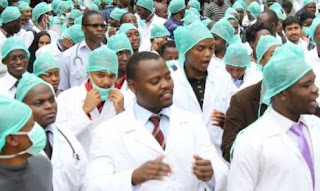 The Nigeria Medical Association (NMA) Kogi State chapter has warned the state government to take proactive measures to redeem the health sector from total collapse to avert impending workers’ unrest. Dr Tijani Godwin Atayi, the state Chairman of NMA, gave the warning while speaking with newsmen in Lokoja, recently. It would be recalled that NMA after its emergency congress in June 22, 2017, suspended her industrial action for three months and promised to reconvene in September to reappraise the suspended strike and resume if their demands are not met. According to the NMA chairman, “the three months ultimatum will expire in September, but up till now, nobody has called NMA for a meeting. “All efforts to meet with Commissioner for health proved abortive. No concrete information from government on revised CONMESS, promotion and annual stepping. “About eight of our members are still on the uncleared list and have not being paid salary for several months. Underpayment still persists, despite several reassurances from government. He noted that NMA has shown understanding with the government and appealed to them to reciprocate that gesture to avoid any crisis in the state health sector. “We are open to dialogue and we will always do what will project this government in a positive way. We will always support the government to succeed and improve the health indices of the state, but our demands should be addressed to reduce the financial burden my members are passing through,” he advised.